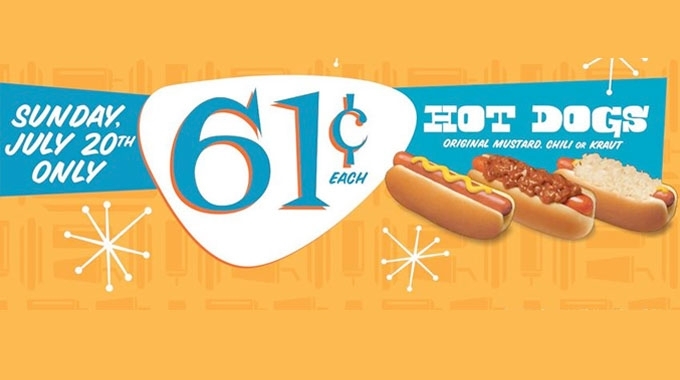 In more than 50 years of business, Wienerschnitzel has pretty much nailed the niche of fast, insanely cheap and painfully addicting hot dogs. It appears, however, that they’re not doing as great as they can be with the younger crowd. What, kids don’t like chili dogs? We had the chance to speak with J.R. Galardi, the 25-year-old son of Wienerschnitzel founder John Galardi. The young Galardi will spearhead the new visionary department for Wienerschnitzel. So what the heck does a visionary department actually do? The Visionary Department will focus 100 percent on forming relationships and growing awareness amongst its younger customer; with Wienerschnitzel’s current guest base primarily made up of baby boomers. To capture the attention of tomorrow’s consumer, the Visionary Department will utilize tactics including social media, strategic partnerships, digital marketing, and event sponsorships. With a heavy emphasis on corporate responsibility, the division will tap into current trends, interests and lifestyles, including everything from sports, film, technology, music and fashion. Sounds an awful lot like a marketing department. We spoke to J.R. a bit to see what he had in store for this Visionary Department and what makes it different from marketing. He also shared some life experiences that came with being the son of the Wienerschnitzel founder. What’s the best wiener pun you’ve heard? Wienerschnitzel hot dogs are considered the “World’s Most Wanted Wiener” and people often “Ask us about our wieners… Our rewards club is even called “The Wieners Lovers’ Club.” Use your imagination, I’m sure I’ve heard it! How has being the son of the founder prepared you for this gig versus some fresh-out-of-college PR hotshot? I grew up with this brand, I have a passionate connection with it. It’s a family legacy that I am excited to continue and build on. It’s my responsibility to carry on my father’s name in the business and I’m completely invested. You can’t find that with some fresh-out-of-college kid. Will any part of the existing menu change with the addition of the Visionary Department? We’re committed to sticking with the food that got us to where we are today by focusing on the classics; chili dogs, burgers, fries and corn dogs are the core of Wienerschnitzel’s existence. Plus, if it ain’t broke! What will your Visionary Department bring to the brand that other chains (Taco Bell, Starbucks) haven’t done before? Is a new department even necessary? The Visionary Department is 100 percent focused on tomorrow’s customer and is primarily made up of young marketing professionals looking to make a difference. Also, it’s rare to see an owner of a company who’s so involved on the front lines. I’m not sitting at a desk giving orders. I’m attending events and initiating partnerships, acting as the face of the brand in every way I can. It’s been emphasized that the new direction will be youth-focused. Are there any concerns of ostracizing older customers? Not at all, we aren’t changing marketing direction, we are expanding it. I’m building upon the solid foundation my father built and the brand will remain committed to the loyal customers who have supported Wienerschnitzel since the early ‘60s. What was it like growing up in the Wienerschnitzel Dynasty? Did you meet any other fast food kids? It was pretty awesome. We are tight with the kids of Fatburger, and my older sisters were friends with Glen Bell’s (of Taco Bell) children, which is pretty cool since my father’s first job in SoCal at age 19 was working for Glen Bell. The release says you’re going to tap into popular trends including music and fashion. Can you elaborate on those two specific items and Weinerschnitzel will fit in? Should we expect hot dog costumes in the near future? We are mainly building relationships with companies and organizations that appeal to younger generations. We’re attending events to feed hungry musicians, athletes and fans. We’ve been collaborating on merchandise with producer/musician Cisco Adler and our fashionable friends from Ethika and YeaNice. 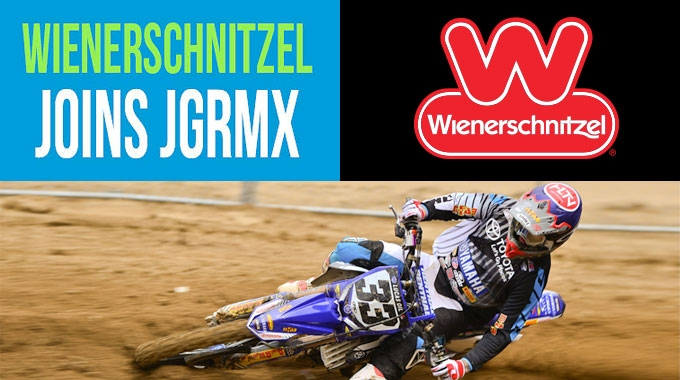 We’ve also just signed on as a sponsor and the official hot dog of JGRMX, so we’re going to be having some fun with the MotoX community. There are a lot of new partnerships in the works! How do you think other food chains are failing at reaching a youthful audience? Any examples of brands, situations, products or promotions that are terrible? I think some brands might be missing the opportunities to connect with their fans on a genuine level. Today, it’s more about the experience than the product. Sure, we can purchase ads and throw our logo in people’s faces, and it might drive them into the restaurant once. Using a more organic approach, we are looking to make a real connection without asking for anything in return. Here’s a free hot dog, have a great day, and we’ll see you soon! Growing up under the umbrella of such a prolific brand and family must have been awesome. Any fun stories? Did you ever roll your dates through Wienerschnitzel and shut it down to show her you’re the prince wiener around these parts? I actually grew up in Colorado, and not many people knew what Wienerschnitzel was out there. Every summer I worked at a SoCal Wienerschnitzel, so I got to eat as many free hot dogs and corn dogs as I wanted. The Wienerschnitzel I worked at had a beer tap so I learned how to pour the perfect beer. There’s actually still a tap at the Burbank, California, location! What’s Weinerschnitzel’s biggest ailment right now? Our biggest challenge right now is that although Wienerschnitzel is a recognizable brand and people are familiar with our big red W logo, there’s not enough excitement around what we do. We’re going to give our hot dog-loving fans everywhere, both old and new, more reasons to visit…aside from having the best chili dogs in the world. Focusing on attracting a younger audience is important, but are there any plans to test more innovative menu items? What made Taco Bell so successful was their attempt to dabble in the ridiculous (DLT, Waffle Tacos) and it paid off. What are your thoughts on such items? We’ve got some fun new menu items in the works. Inventing products and putting creative twists on Wienerschnitzel classics is one of my favorite parts of the job. We’re not going to be wrapping a waffle around a hot dog anytime soon, but definitely be on the lookout for some exciting new menu items coming soon.